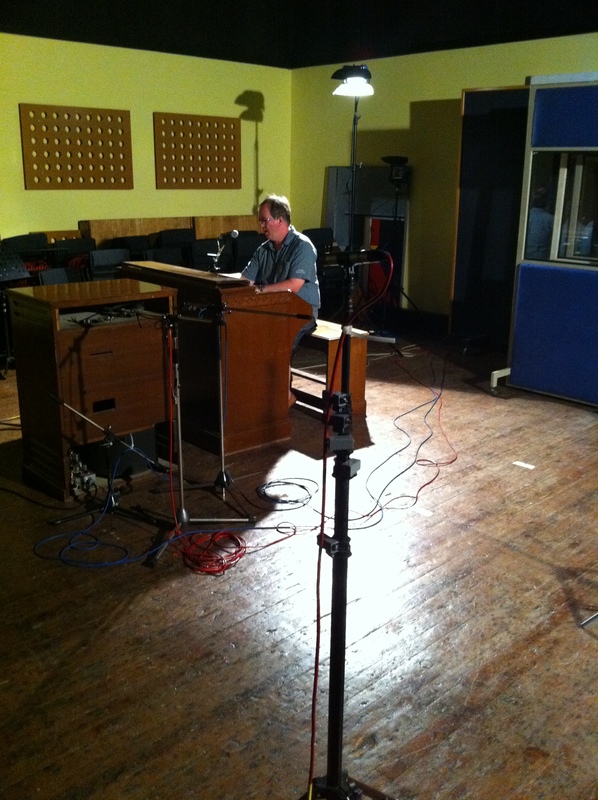 Today we tracked Hammond at Phoenix Sound for Karl Wilson’s project. Phoenix is a cool place to work because not only is it an excellent studio with great people, it’s also part of Pinewood film studios. This means a great canteen, the odd glimpse of a movie star, and the opportunity to creep around Goldfinger Avenue, looking for piles of realistic looking polystyrene boulders that we can hold above our heads while we pose for photos. The film guys think we’re dicks. They’re probably right to be fair. 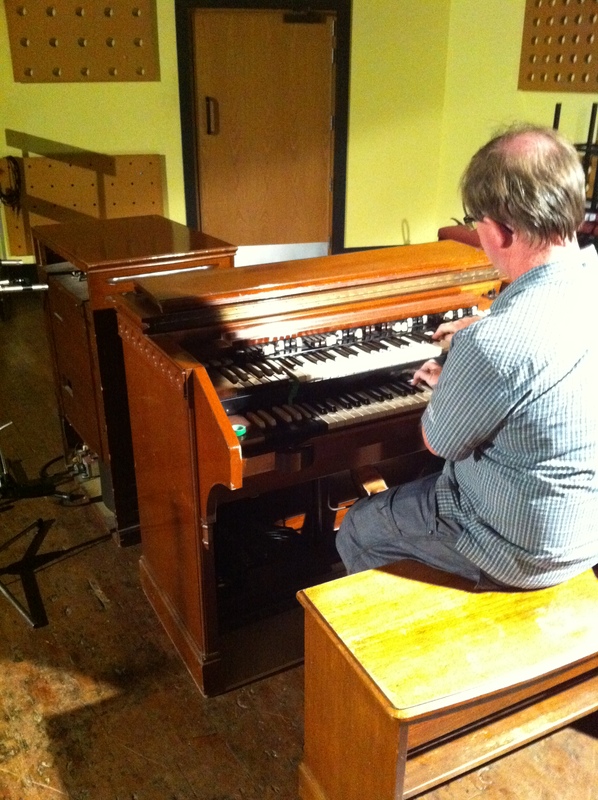 Anyway, the guy we use for all our Hammond stuff is Steve Smith. Steve is one of the finest musicians in the country, if not the world. He’s one of those guys who can walk into a session, listen through the track a couple of times, and then go out into the room and just play it from top to bottom. He’s a truly brilliant player and a lovely guy to work with. Here he is at the C3.